Keeping in mind the ever-evolving needs of our clients, we are devoted towards offering an optimum quality array of 0.45mm Everlast Super Roofing Sheets. Everlast is a brand of Hindalco Industries Ltd., the world's largest aluminium rolling company and the metals flagship of the Aditya Birla Group. Being India's leading brand of aluminium roofing solutions, Everlast is the preferred choice for industrial and residential applications for those who need security and long-lasting protection. 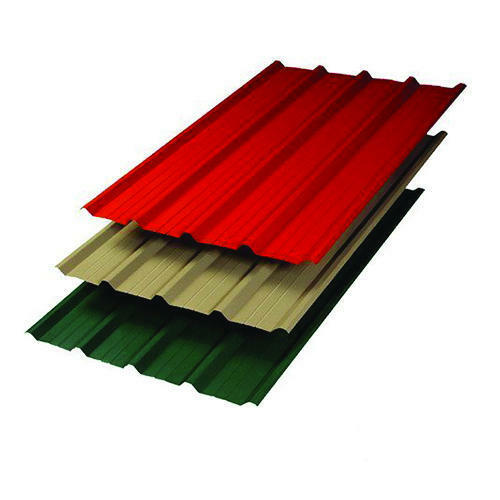 Available in a wide range of colours and profiles such as Circular Corrugated, Industrial Trough (Trapezoidal) and Tiled finish, Everlast roofing sheets are aesthetically pleasing and have the highest standards of quality. Today, Everlast Aluminium Roofing Sheets are a hallmark of exceptional quality and reliability. Everlast Modern Troughed Sheets have an angular profile with a sleek design. They are equipped with a centre rib for better aesthetic, anti-capillary grooves to ensure a leak-proof roof and an end lip for proper overlapping of sheets. They are a modern alternative to traditional metal roofing sheets. Everlast Modern Troughed Sheets are a perfect choice for roofing and claddings of domestic applications. Established in the year 2012, Indograce Emart (A Unit Of Indograce Ecommerce Private Limited) is an eminent firm engaged in 2D Drawings Services, 3D Rendering Service, Interior Designing Service, Apple Club Gurgen ISI Plywood, 0.5 Cubic Meter Waste Management and Biogas Storage Tank, 0.40mm Aluminum Roof Ridges and much more. Fine finish, lightweight, easy installation and compact design are some of the features of our offered range of products. To meet the demands of customers, we are providing these products in different specifications at industry leading prices. Owing to our transportation facilities, we have been able to dispatch the offered range in stipulated time-period.